← Home Is A Person & Am Finally Home! 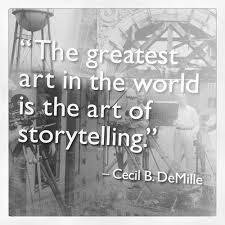 I love listening to stories & story telling.There is a lot that we take away listening to stories. Some stories impact us immediately and some crop up at different intervals in our lives and leave their footprints. I have believed that everyone tells a story about themselves inside their own head. Always. All the time. That story makes us what we are. We build ourselves out of that story. 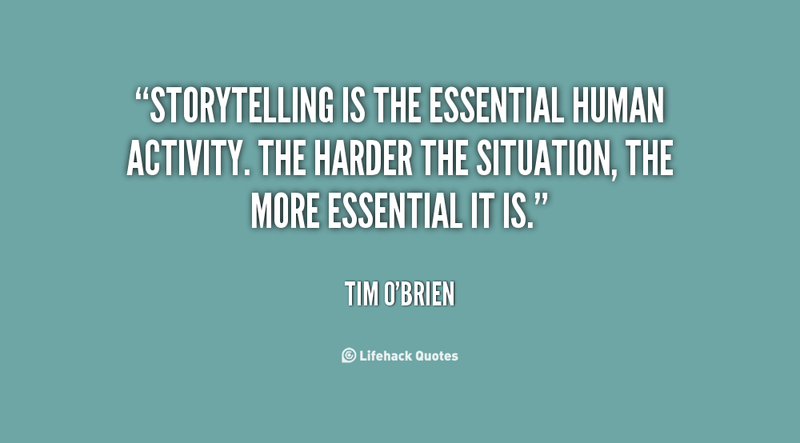 Stories have to be told or they die, and when they die, we can’t remember who we are or why we’re here! 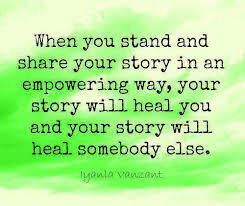 I would like to share some stories that have impacted & inspired me and I carry them with me now. I know as a story teller I must think of who is hearing or reading, for a story has as many versions as it has readers. Everyone takes what he wants or can from it and thus changes it to his measure. Some pick out parts and reject the rest, some strain the story through their mesh of prejudice, some paint it with their own delight. A story must have some points of contact with the reader to make him feel at home in it. So, I am hoping that these resonate with you all in some way. An elderly carpenter was ready to retire. He told his employer, a building contractor, of his plans to leave the house building business and live a more leisurely life with his wife enjoying his extended family. He would miss the paycheck, but he needed to retire. They could get by. His employer was sorry to see his good worker go and asked if he could build just one more house as a personal favor. The carpenter said yes, but it was easy to see that his heart was no longer in his work. He had lost his enthusiasm and had resorted to shoddy workmanship and used inferior materials. It was an unfortunate way to end his career. So it is with us. We build our lives in a distracted way, reacting rather than acting, willing to put up less than the best. At important points we do not give the job our best effort. Then with a shock we look at the situation we have created and find that we are now living in the house we have built for ourselves. If we had realized, we would have done it differently. Once upon a time, there was an island where all the feelings lived: Happiness, Sadness, and all of the others including Love. One day it was announced to the feelings that the island would sink, so all repaired their boats and left. Love was the only one who stayed. Love wanted to persevere until the last possible moment. When the island was almost sinking, Love decided to ask for help. Love decided to ask Vanity, who was also passing by in a beautiful vessel, “Vanity, please help me!” “I can’t help you, Love. You are all wet and might damage my boat,” Vanity answered. Sadness was close by so Love asked for help, “Sadness let me go with you.” “Oh…Love, I am so sad that I need to be by myself!” Happiness passed by Love too, but she was so happy that she did not even hear when Love called her! Suddenly, there was a voice, “Come Love, I will take you.” It was an elder. Love felt so blessed and overjoyed that he even forgot to ask the elder her name. “It was Time”, Knowledge answered. A while back I was reading about an expert on subject of time management. One day this expert was speaking to a group of business students and, to drive home a point, used an illustration I’m sure those students will never forget. After I share it with you, you’ll never forget it either. One eager beaver raised his hand and said, “The point is, no matter how full your schedule is, if you try really hard, you can always fit some more things into it!” “No,” the speaker replied, “that’s not the point. The truth this illustration teaches us is: If you don’t put the big rocks in first, you’ll never get them in at all.” The title of this letter is the “Big Rocks” of Life. So, tonight or in the morning when you are reflecting on this short story, ask yourself this question: What are the “big rocks” in my life or business? Then, put those in your jar. This entry was tagged experience, impact, inspiration, learn, lessons, life, listening, love, motivation, soul, stories, story. Bookmark the permalink.